Product prices and availability are accurate as of 2019-04-11 16:23:05 UTC and are subject to change. Any price and availability information displayed on http://www.amazon.co.uk/ at the time of purchase will apply to the purchase of this product. Pioneer's newest entry-level mixer with an all-digital mixing bus (24bit/96kHz) featuring 7 onboard effects, including the all new In-Loop Sampler. 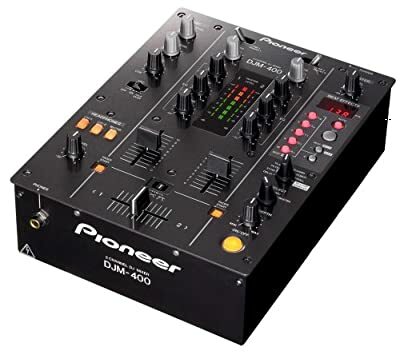 The DJM-400 matches Pioneer's CDJ-200 CD turntable in both function and design, allowing DJs to expand the range of DJing and remixing. Its new symmetrical design is the same size as a CDJ-200 enabling an easy fit in a compact DJ coffin. Each channel has 3-band isolator EQ with full cut capability. The EQ ranges from +9dB to -? (infinity) for total control of the sound.